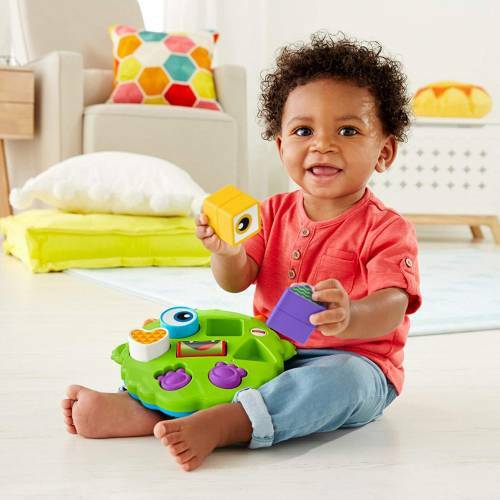 This silly monster puzzle is the perfect fit for your baby's playtime! Sort the colorful, patterned shapes in and out for super fun puzzle play. 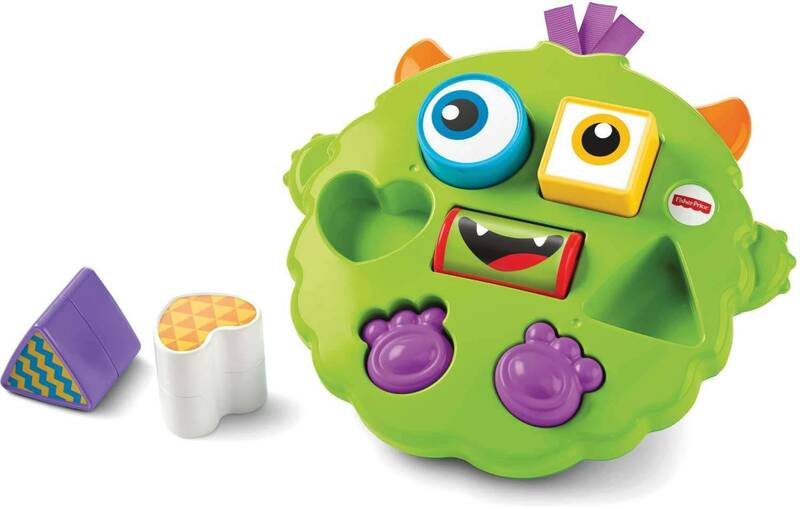 And little ones will love spinning the roller ball to see all the monster's funny faces and toggling its tiny feet! Where development comes into play: Sensory: Silly monster faces, bright colors and different textures excite your baby's senses. Fine Motor: Babies strengthen dexterity as they roll for faces, toggle feet and sort the shapes. 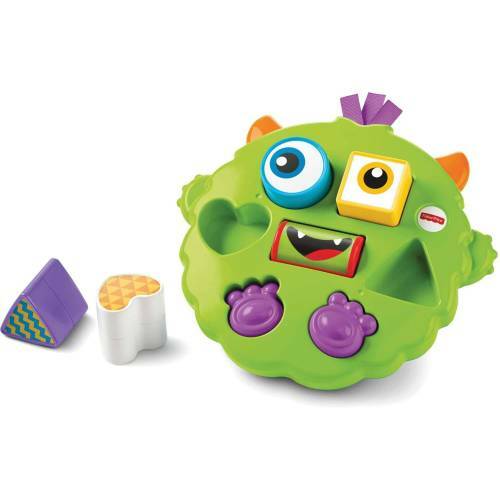 Problem Solving: This little monster encourages big thinking as your baby matches the shapes and finds where to sort them!